100th anniversary model with fascinating tourbillon escapement. 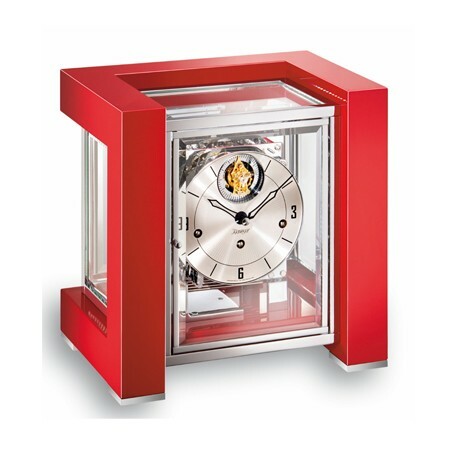 This designer clock with three dimensional solid wooden frame features a red high gloss piano finish. The glass panels allow for a full view of the refined (10 Ball bearings) caliber J0256 movement and consist of an extravagent chrome plated brass frame construction. 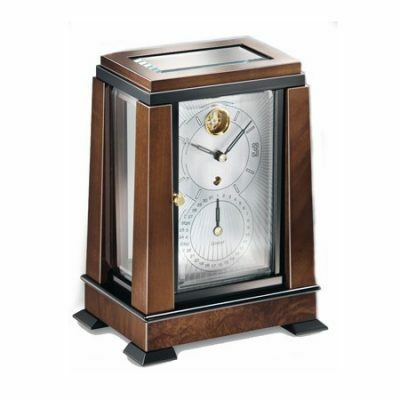 A silver plated brass dial with etched decor and an exclusive tourbillon escapement with screw balance serving as a second indication complete this amazing clock. Limited to only 100 pieces. 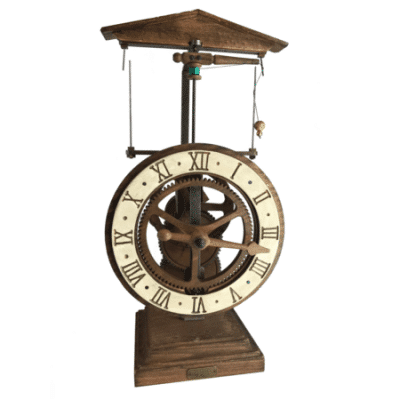 Features a triple chime movement with Westminster, St.Michael and Whittington chimes. Built in Automatic night off from 10pm – 7:15am. Dimensions: 25.5cm High x 25cm Wide x 18cm Deep. 100th anniversary model with fascinating tourbillon escapement. 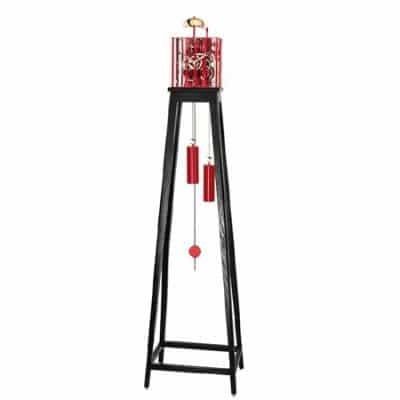 This designer clock with three dimensional solid wooden frame features a red high gloss piano finish. The glass panels allow for a full view of the refined (10 Ball bearings) caliber J0256 movement and consist of an extravagent chrome plated brass frame construction. A silver plated brass dial with etched decor and an exclusive tourbillon escapement with screw balance serving as a second indication complete this amazing clock. Limited to only 100 pieces.